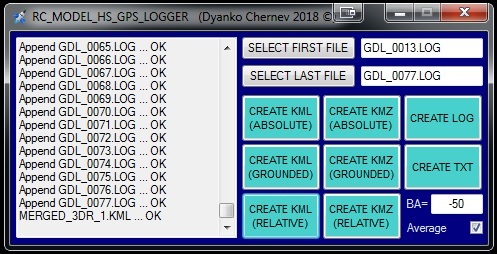 As I mentioned in one of my comments in the older post MINI PIC GPS DATA LOGGER WITH MICRO-SD CARD I had plans to make a faster GPS data logger suitable for RC-Models and Model Rockets. 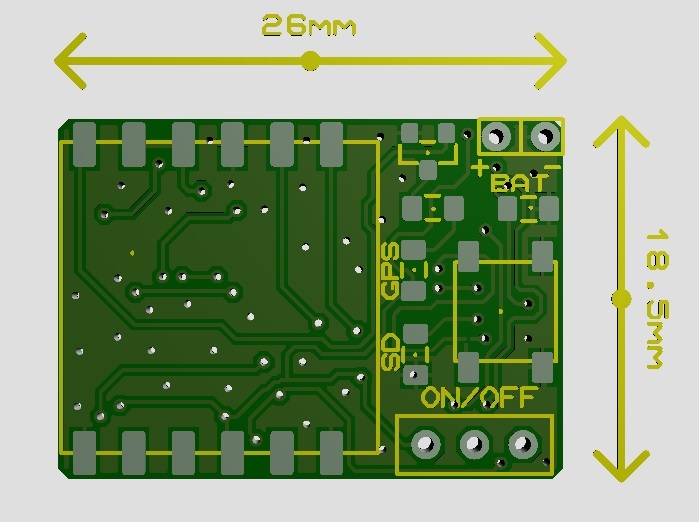 Well the PCBs were ordered some time ago, but I finally found some free time to finish and describe the project. It has been already said that this GPS Data Logger, unlike the original version, is specifically designed for RC-models and model rockets. 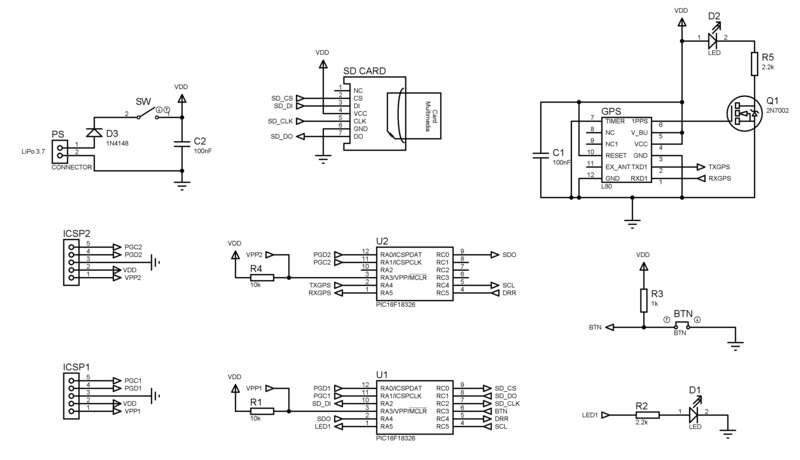 To make it as robust as possible and to accommodate the higher data transfer from the GPS module (10 Hz) and to the SD card, it was easier to change the large PIC18F25J11 MCU with the smaller PIC16F18325 and add a second MCU PIC16F18326 to control the SD data write. Thus one MCU is controlling the data transfer to and from the GPS module and passes the NMEA message to the second MCU, which on its turn write it to the SD card. In fact the electrical design is quite simple and straightforward and all the work is done through the firmware of both MCUs. 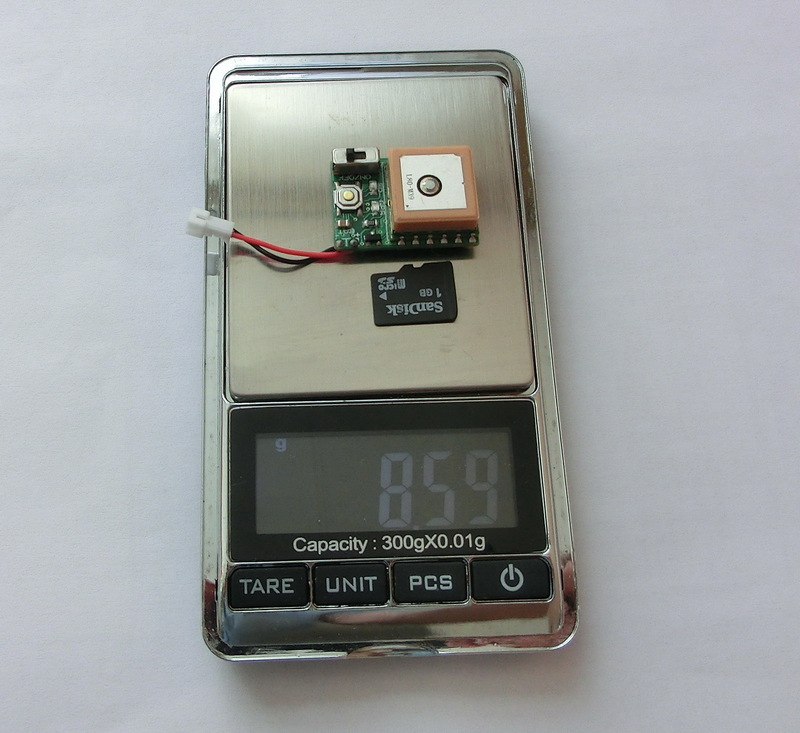 Despite the fact that there now two MCU’s this GPS data logger is actually a bit smaller than the original version 26×18.5 mm vs. the original 27×20 mm. 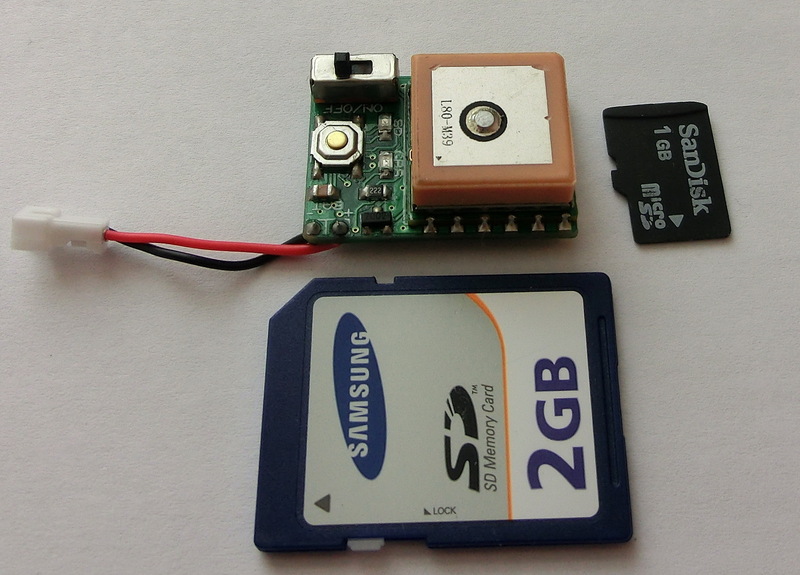 An important parameter is the weight – it is 8.6gr (including the micro SD card) where the biggest part, 6 gr, is due to the GPS module. The power supply is from 3.3 to 4.2 volts maximum, i.e. the typical LiPo battery. 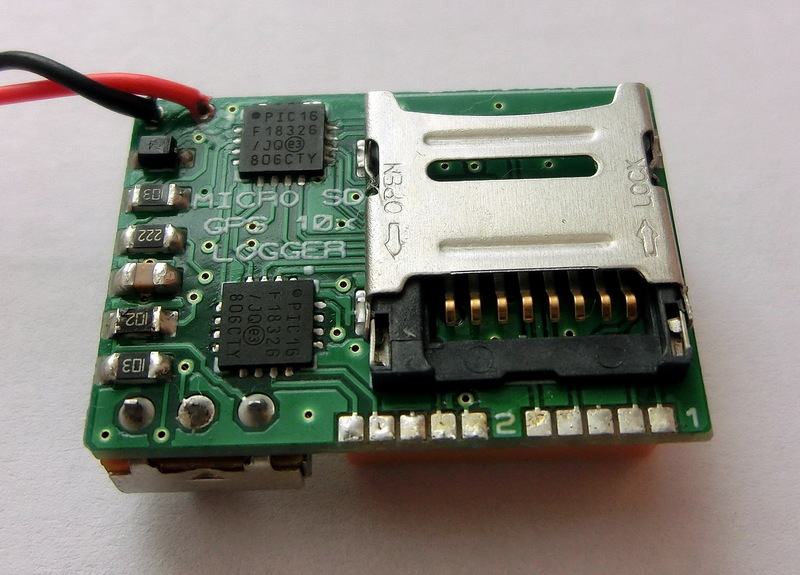 Keep in mind that this GPS data logger is quite power hungry – 25mA from the GPS module, 3mA for each MCU and the typical 25mA for the SD card (which could be anywhere between 10mA and 100mA depending on the card) – this gives about 56mA typical consumption, which requires indeed a LiPo battery. There is no SD card in the slot, the SD LED will remain off. If there is a card, but the MCU detected a problem with the SD card, then the SD LED will start blinking fast in regular intervals. Everything is OK with the card and no information is recorded, the SD LED will start blinking regularly every 1 second. Everything is OK with the card and information is being recorded, the SD LED will start blinking fast at irregular intervals. To start the data record you have to press the small button, at which point every NMEA GPGGA message from the GPS module will start being recorded in the SD card. To stop the data record, you have to press again the small button and wait until the SD LED starts blinking in long regular intervals, at which point it is save to remove the SD card or switch off the power. 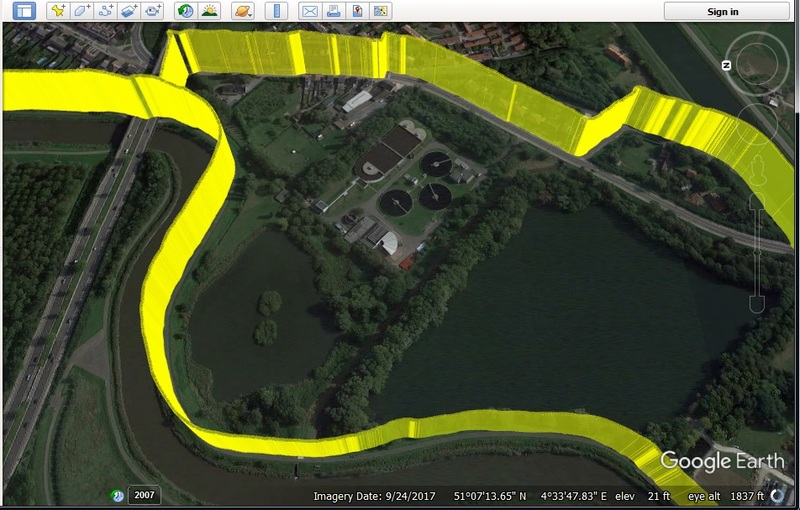 Because the GPS data logger is intended for use with RC-models and model rockets, the chances of power failure and hard landings are real, therefore care has been taken to ensure some data protection in case of emergencies. The main problem with data files is that in case of sudden power failure (or lost pin contact) if a file is open for writing and/or data is being written, then the file will be corrupted and won’t be accessible through the ordinary PC interface. To limit this possibility of file corruption, the MCU creates a new file to be written into every 15 seconds. So in case of emergency, unless there is a physical damage to the SD card, there is a possibility of file corruption only to the last file being written into, hence the maximum loss is limited to last 15 seconds or less. Every file has a sequential number and if you start a new record while the previous files are still on SD card, the record will be resumed from the last file in an uninterrupted sequence starting from 0000 – so if have files 0000, 0001, 0002, 0004, 0005, the GPS logger will resume as file 0003 and not 0006. 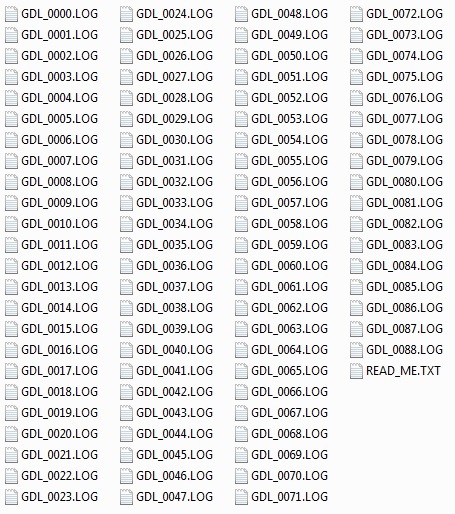 If file 0000 is missing, it will resume from there and all other files will be ignored. So if you delete and keep files on the SD, keep that in mind. 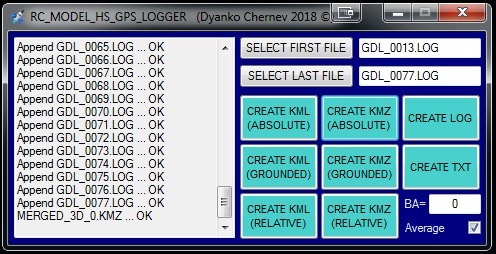 Each “GDL_XXXX.LOG” contains the raw GPGGA NMEA message, either with or without meaningful information, from the GPS module for 15 seconds in 100 milliseconds time increments. To help with the data manipulation I wrote a small program which can combine multiple sequential files into various different file types which can be further used by other programs, while keeping the existing information and/or extracting and computing additional parameters. First you have to select the FIRST FILE and the LAST FILE in the sequence, which should be in the same folder. 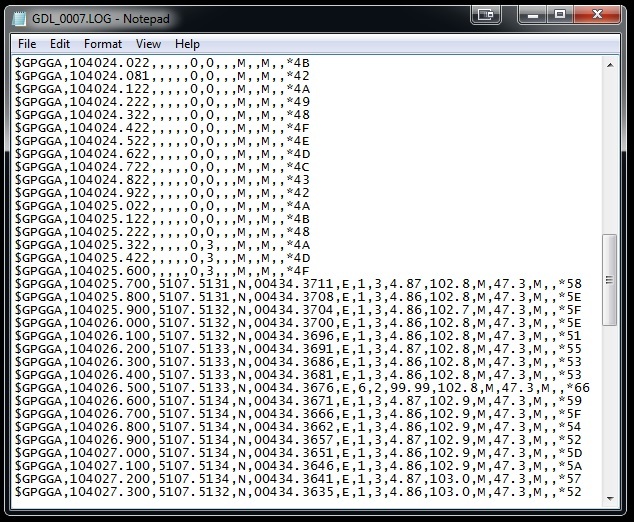 The sequence of the LAST FILE should be greater or equal to that of the FIRST FILE. BA (Basic Altitude) – enter the basic Altitude(WGS84 ellipsoid) to be subtracted from each Altitude(WGS84 ellipsoid) point in order to calculate the relative altitude as referenced to the Basic Altitude. It is practical the basic ABSOLUTE ALTITUDE to be a point concurrent with the 3D map’s ground, so all points will be most correctly displayed. Average – will apply a moving average with a window of 3 to coordinates and additional moving average of 2 to speed. 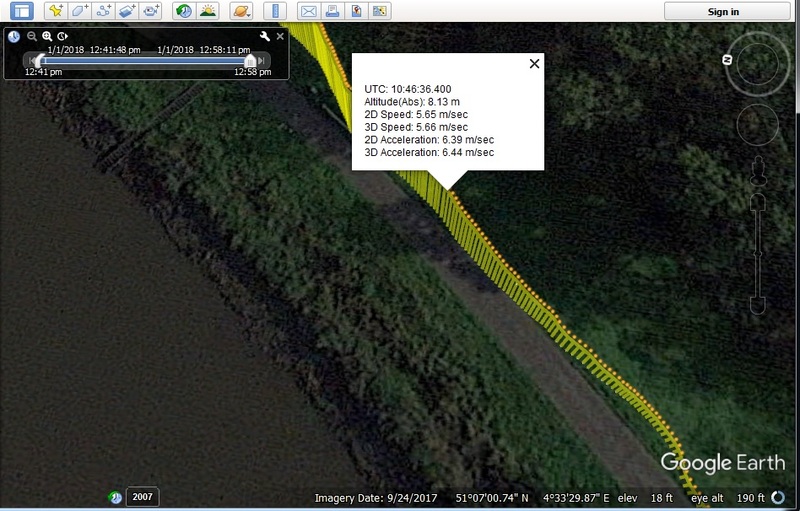 This will result in smoother paths and more accurate calculations, although with a small time-lag in the data set. For each newly created file an index number is given. 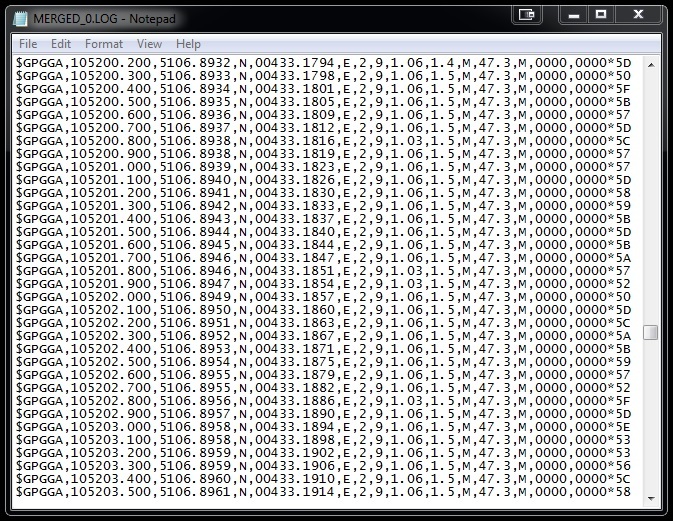 Again, like with the SD card, the index continues from the last file in an uninterrupted sequence starting from 0. 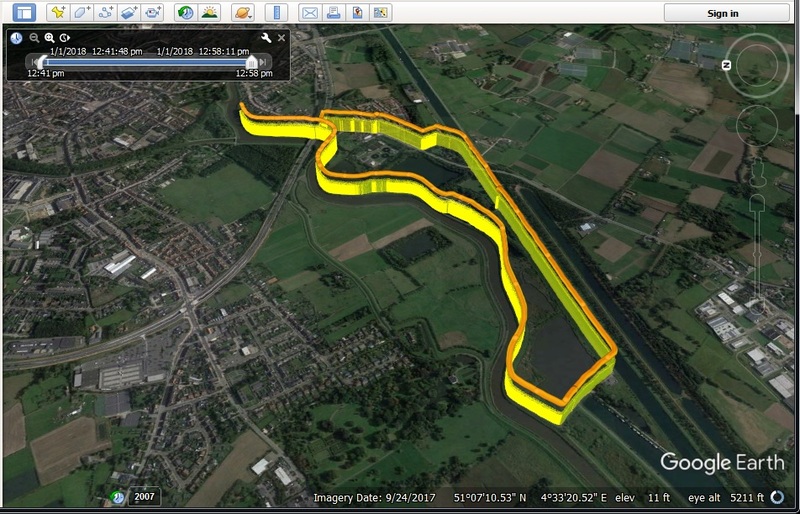 Creates a KML file, with a name “MERGED_3D_X.KML” which can be opened for example by Google Earth. 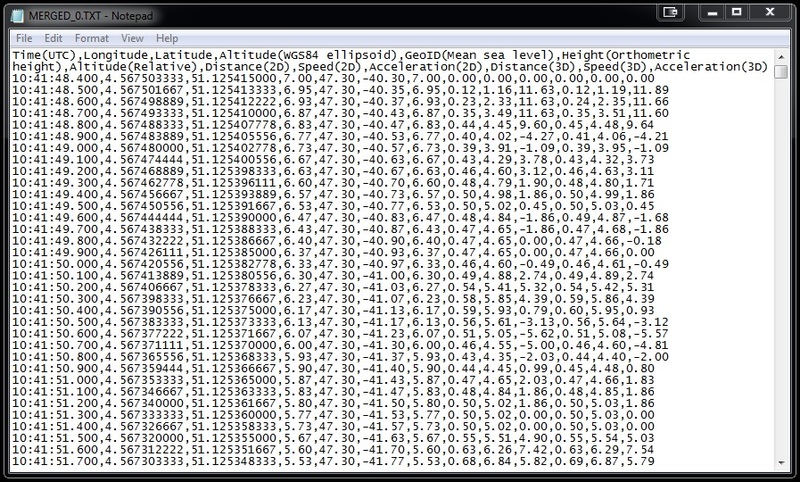 This KML file describes the data set as a 3D track, using the Altitude(WGS84 ellipsoid) referenced to the mean sea level. 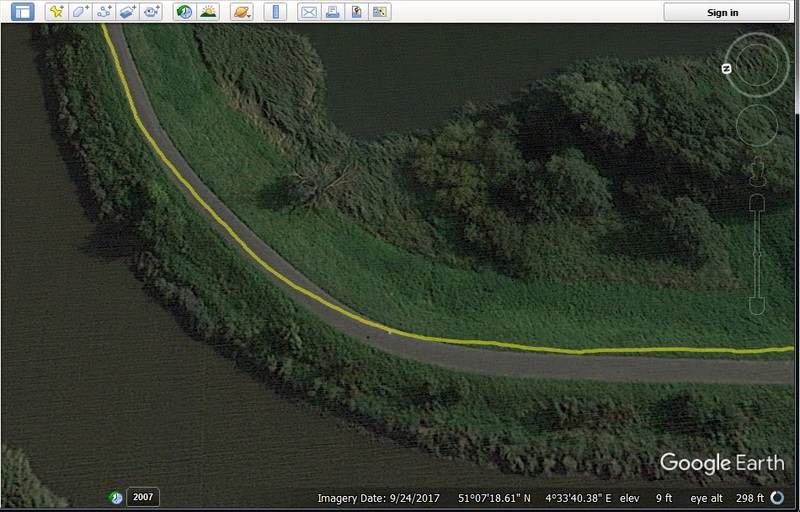 Creates a KMZ file, with a name “MERGED_3D_X.KMZ” which can be opened for example by Google Earth. This KML file describes the data set as a 3D track and 3D Points set, using the Altitude(WGS84 ellipsoid) referenced to the mean sea level. Each point offers additional information as balloon tip and contains a time stamp which allows the track to be animated. 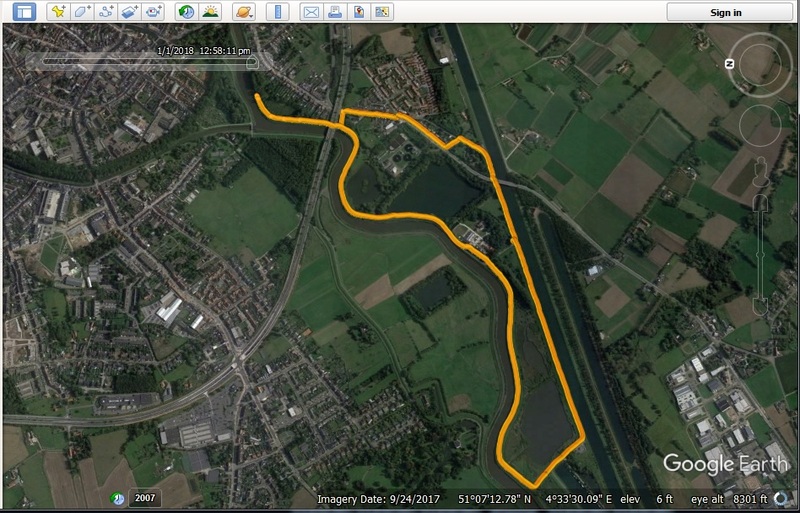 Creates a KML file, with a name “MERGED_2D_X.KML” which can be opened for example by Google Earth. 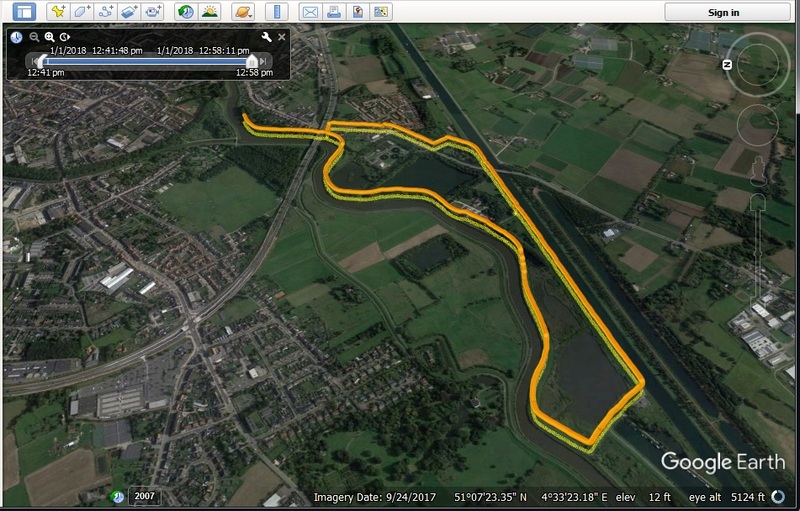 This KML file describes the data set as a 2D track projection over ground. 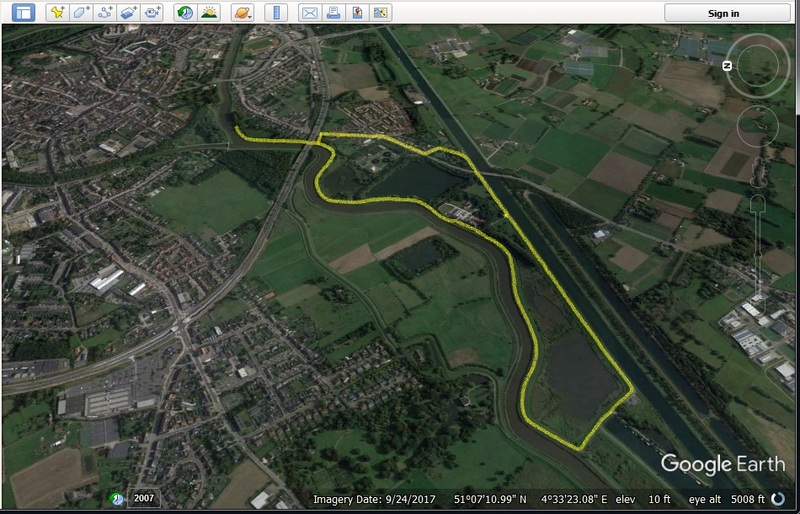 Creates a KMZ file, with a name “MERGED_2D_X.KMZ” which can be opened for example by Google Earth. This KML file describes the data set as a 2D track projection over ground and 2D Points set. Each point offers additional information as balloon tip and contains a time stamp which allows the track to be animated. 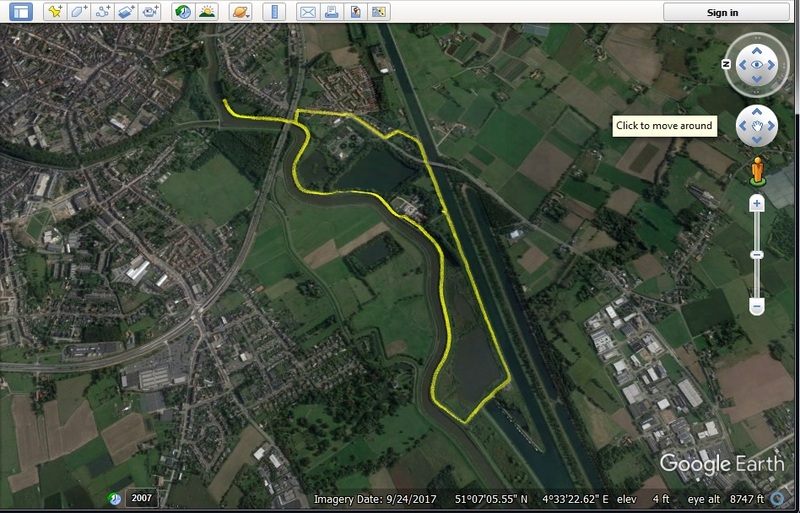 Creates a KML file, with a name “MERGED_3DR_X.KML” which can be opened for example by Google Earth. This KML file describes the data set as a 3D track, using the Relative altitude (referenced to the value entered in the Basic Altitude box) as height over the map’s ground level . 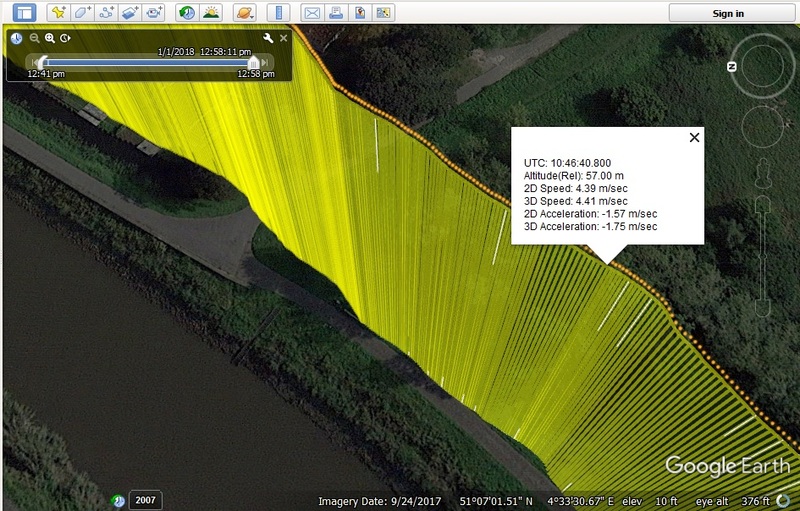 This is the best way to display 3D paths since GPS absolute altitude accuracy is quite poor (normally +-30m) but its relative (point to point) short term accuracy is much better. *For better understanding how this option works, I exaggerated and added 50 meters (remember the value is being subtracted, thus negative 50m actually adds 50m) to the relative altitude. 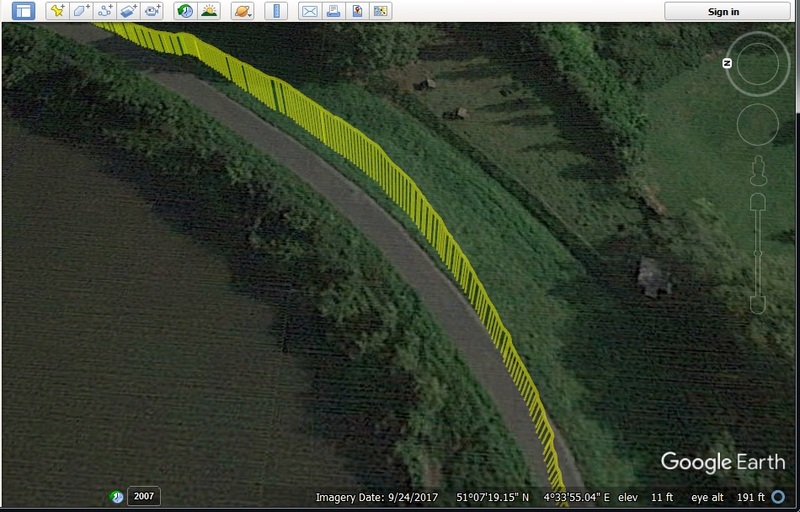 Creates a KMZ file, with a name “MERGED_3DR_X.KMZ” which can be opened for example by Google Earth. This KML file describes the data set as a 3D track and 3D Points set, using the Relative altitude (referenced to the value entered in the Basic Altitude box) as height over the map’s ground level. Each point offers additional information as balloon tip and contains a time stamp which allows the track to be animated. 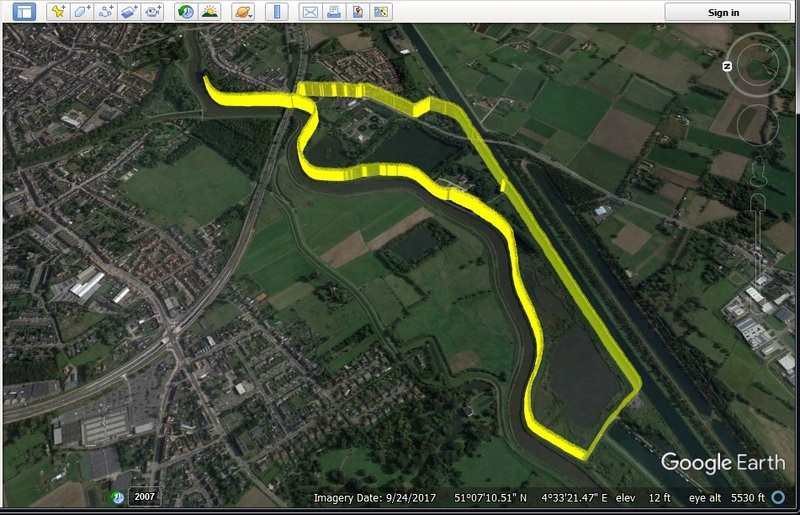 THE KMZ – short video showing the advantages of the KMZ files i.e. timed animation capability and additional data display. First video is with a 3D KMZ and the second video is with a 2D KMZ file, when the altitude is not needed, also you can see the difference between averaged and not averaged data. 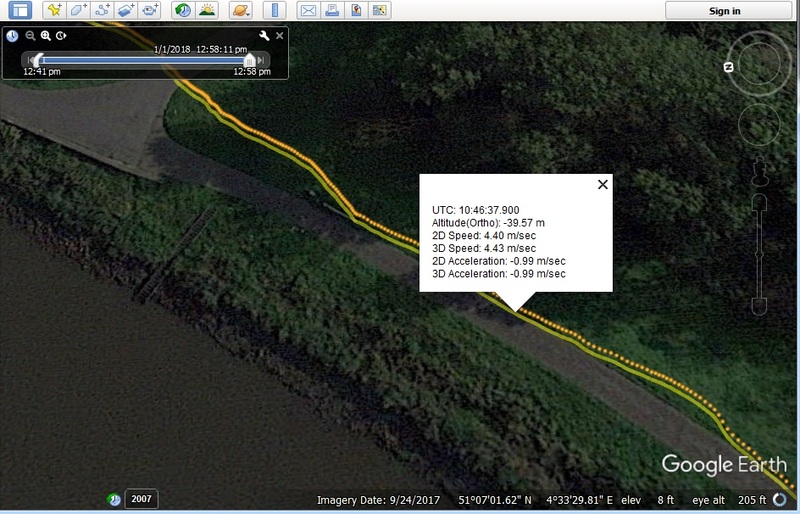 I did not have a chance, so far, to test the GPS Data Logger with an RC-Model or Model Rocket and the displayed data set and tracks are record of me riding my bike around. Also keep in mind that using large data sets with too many points for animation in Google Earth will put a considerable strain on your machine and might be too slow for smooth display. One last note, the GPS module should be L80 and not L80R because, although they have the same pin-out and dimensions, the latter is not capable of 10Hz output. This entry was posted in ELECTRONICS and tagged 10 HZ GPS DATA LOGGER, GPS DATA LOGGER, HIGH SPEED GPS DATA LOGGER, MICRO SD GPS DATA LOGGER. Bookmark the permalink. Regarding Flashing the PIC chips. Do you flash with the chip insitu via the pads. I am using PICkit 3 In-Circuit Debugger and the programming is via the pads (ICSP1 and ICSP2) connected to the ICSP ports of the corresponding MCU.